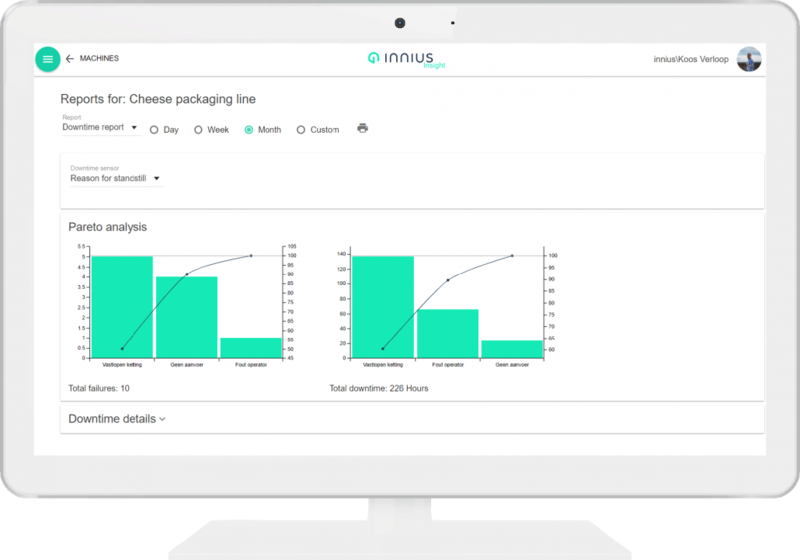 New in innius: downtime analysis, enhanced security and dashboards. innius takes security seriously. So we’ve upgraded our login authentication by adopting the latest technology built by the highly respected Auth0. Users will notice new login dialogs. 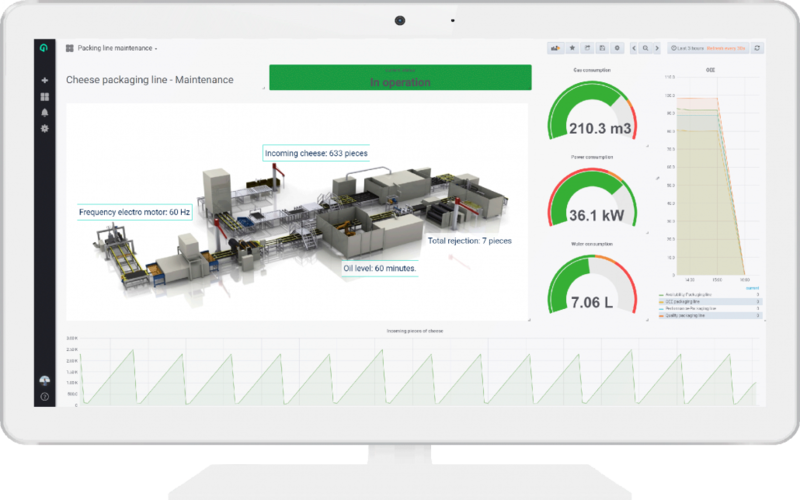 As we all know, machine downtime is a costly waste. The key to reducing these costs is identifying downtime causes in the first place. To support this, we’ve launched a new type of analysis report: Downtime report. This produces a Pareto analysis of the amount of downtime per cause and the proportional impact of these compared with each other. This makes it really simple to make decisions about where to focus resources on getting the best results, in accordance with the 80/20 rule. Our dashboards have had a significant look and feel improvement. It’s now much easier to move and resize panels, as other panels now respond accordingly. Rows are no longer necessary to align panels, allowing them to be sized independently. Your different dashboards can be organized using the new folders function. Another new feature is that permissions can be assigned to folders and dashboards. It is also possible to add new users within the dashboard, without them having to be innius users. We’re committed to making innius as simple to use as possible. In line with the previous release, we’re continuing to work towards a set of branded apps, each with their own defined functionality. As part of this the web app has been rebranded, ‘innius Insight’ and a new app has been launched, ‘innius Admin’. In the coming releases, you can expect to see functionality used to create and define moved across from innius Insight to innius Admin. innius Insight will be used to view and analyze data. The machine creation function has already been moved to innius Admin. And it kicks off with an enhanced way of doing this, called ‘Auto discovery’. By uploading a json or txt file, you can discover and create multiple sensors for a machine in one go.